Learn about the L.A. Justice Fund and see if you qualify for FREE legal immigration representation! 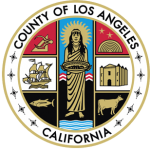 Learn about the FREE services Los Angeles County has for you and your family. Free legal services for low income children and adults.